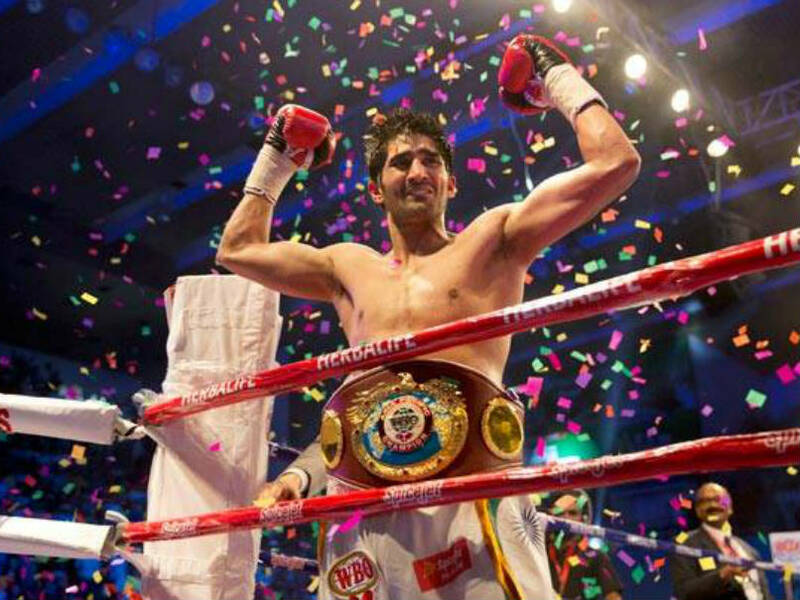 Vijender Singh secured his maiden Asia Pacific title with a win against Australian Kerry Hope in July this year. Aware of the challenge but not awed by it, Indian boxing star Vijender Singh says he would be eyeing a knockout win when he defends his WBO Asia Pacific super middleweight title against former world champion Francis Cheka in New Delhi on December 17. The 31-year old secured his maiden Asia Pacific title with a win against Australian Kerry Hope in July this year. Vijender and his trainer Lee Beard are busy setting up their game plan to make sure that there is not a single move returned without an answer. Lee is making Vijender go through a rigorous training session for around 8-10 hours a day, which is a combination of various exercises along with his normal training. "I have to win and win in good fashion, so that means a knockout. I don't know how far he is willing to go, how much he is willing to take. 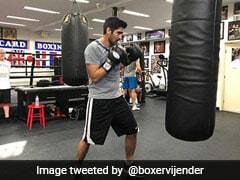 I am very well aware of the kind of challenge that lies ahead of me, Cheka is very experienced but I am also putting in double the efforts," Vijender said. "Lee and I have a perfect game plan in place to make sure that I have an answer to every punch every hit that Cheka has to throw at me. We have been working on my punches and training for almost 2 months now. I am very confident that my plan against him will work out well," he added. Cheka has been undergoing some grilling training sessions as well. 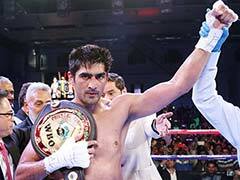 But Vijender is eyeing his first knockout title win in front of the home crowd. 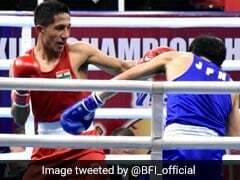 Cheka has promised to teach a boxing lesson to Vijender but the Indian laughed off the threat. "I think he is kind of overlooking me. 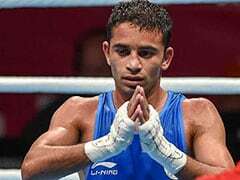 He is going to have the answers in the first 2-3 rounds of our fight on 17th December," he said. "Cheka thinks he is fighting a nobody, I have just started my professional boxing career and I already have 6 knockouts, it's not that easy to get all the wins in one go. I will show Cheka his place, he can't come to my country and challenge me for my own title. I think he doesn't know about me very well, maybe I should ask his well-wishers to give him more information on me." 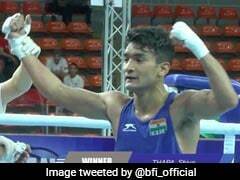 "Till date all seven boxers I have faced in the professional ring, have challenged me in their own aggressive way but my punches have successfully replied to them in my own style. This time I am confident of giving tough time to Francis Cheka," he added. Equally confident of a win was Lee Beard. "I have put Vijender on high intensity workout since this is the first time he is fighting a World Champion boxer. It is important that Vijender has a reply to every punch that is thrown at him in the ring," he said. "Considering Cheka has already fought 43 bouts, he definitely has more experience than Vijender and he needs to step up to that level. He is training very hard and has been sparring 12 rounds with 3 different guys and also concentrating on strength and conditioning work," he added. Vijender has a record of seven out of seven wins with 6 KOs.